The year has started better for UK ex-Pats as the £ rises to recent highs against the Euro, making a significant difference to those on fixed income, such as pensions. As I write this article, the £ is trading in excess of 1.16 versus the Euro. It is effectively the Euro that is weak though, since both the Pound and US Dollar have managed to make headway against the currency. We have to conclude that fears over the economies of Portugal, Spain. Italy and Greece are weighing heavily on the Euro. Greece has received a lot of headlines over their faltering economy, but Portugal is slipping in the same direction as Greece in terms of its government finances and they will need to address this in their forthcoming budget on a domestic level. This is especially so igiven the distance French and also German figures are placing between their countries and the problems that Greece is facing. Not such a cosy club now it seems ! Sterling remains at the very top of its recent ranges with the Pound buying more Euros, Canadian Dollars and Australasian dollars than it has for 5 months. However, these levels are looking less and less secure and the charts are posting increasingly overbought signals against the Pound so those with Sterling who haven’t already swapped some of their funds for another currency should think about doing so urgently. At times like this rates are stting on a precarious knife edge and go either way so if you are risk averse, then you should have a more detailed conversation with our dedicated dealers to determine how these moves may save or cost you money and what you can do about it. What does this mean for house prices? Well, the cost of buying a French house has become cheaper for a UK buyer, with a 250,000 Euro house costing £215,815 today, as against ove £224,000 both 1 and 3 months ago. Given that French property prices have fallen since 2008, I am very much of the opinion that today represents a great buying opportunity for UK buyers, with relatively low prices and a favourable exchange rate. Some of our vendors are ex-Pats who are returning to the UK, for various reasons. They now face a difficult decision, since whilst the £ has been weakening throughout 2008 & 2009, they have been able to reduce their prices, secure in the knowlegde that they would gain on the exchange rate and be able to buy in a weak UK property market. The emphasis has now shifted, as the UK market strengthens and the Euro weakens against the Pound. The pressure on the Euro has become immense since Greece was downgraded and the Eurozone refused to step in to help. Traders fear a Lehman Brothers type scenario where Greece defaults on its debt and Portugal, Spain and Ireland are forced to follow suit as the carpet is pulled beneath them. A report in the telegraph over the weekend suggest the European Central Bank (ECB) are preparing legal ground in the event a Euro member tried to leave the Eurozone breaks up following the Greek crisis. The fact that EUR USD has fallen over 7.0% since December will not worry the ECB one little bit. They have been attempting to talk the euro down for most of last year to help their exporters pull the Eurozone from recession. The pound on the other hand has had a great weekend. December CPI inflation data released Monday was 2.9%, much higher than the Bank of England 2.0% target and very close to the number which requires BoE Governor Mervyn King to write a letter of explanation to Chancellor Alistair Darling. This was the largest one-month rise since April 1991. The next number to surprise to the upside was UK December unemployment which fell by 15.2k, the second consecutive monthly decline. 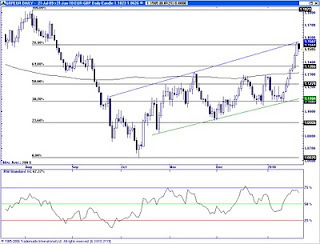 Euro buyers have therefore been presented with the best levels to buy in 4-months after a 4.5% bounce since last week. Call me today for an introduction to our dedicated dealers and get preferential rates ! France is officially, for the fifth year in a row, the best place in the world to live according to a survey carried out by the magazine International Living, who for the past 30 years have been producing a 'Quality of Life' index, looking at the best places to live in the world. Their index examines nine main criteria, such as the cost of living, climate, crime, environment, infrastructure and the quality of health care, with statistics drawn from official sources. The magazine does acknowledge that if you live in France you have to be prepared to put up with ‘tiresome bureaucracy’, they this is outweighed by an superb quality of life, including, of course, the world’s best health service. France scores high on most categories in the index, but it is the lifestyle of the French that the magazine considers to be the special quality of the country. 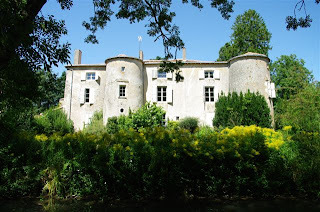 As you may guess, these include the pleasures of long lingering lunches, the importance of friends and family, the beautiful countryside, and many more aspects of La Belle France that cannot be measured by a set of statistics. Behind France in the ranking of 194 countries comes Australia, followed by Switzerland and Germany. Britain languishes in 25th place, while Spain comes in at a sluggish 17th place. Britain's ranking highlights why so many are keen to move across the Channel. 25th place in the poll, coming behind the likes of Uruguay, Hungary and Lithuania ! Somebody has remarked that if the benefits system wasn’t so generous and local governments weren’t obliged to house anyone arriving without cash, it would be lower down than 25th place. A debate rages over whether Greece can scramble out of its economic problems and start to reclaim its standing within the Eurozone. You may not have any links with Greece at all, but the repercussions if they don’t sort their problems out could be earth moving. Questions over whether other EU states will offer Greece financial support and whether, if Greece were forced out or forced to pull out of the Euro, the Euro project could survive are coming thick and fast. The answers are a lot more elusive and if we measure all the Eurozone countries against the original financial measures which were the original requirements for membership of the Euro, few would pass, so it is a bit of pot and kettle right now. Consequently, I would be very surprised if any other EU state would point the finger at Greece until their own houses are in better shape. However, while the debate is in place we can expect further volatility in the Euro. That would be great if the UK wasn’t being tarred with the same brush as Greece. There is a strong feeling that UK debt levels will create problems in the year ahead as credit referencing agencies continue to monitor Britain’s progress - or lack of it and Sterling is certainly reflecting that in its current levels of weakness. Equally, the fact that Iceland is prevaricating on whether it will repay the £2.3 billion that the UK government paid to those who lost money when Icelandic banks collapsed, isn’t helping matters. £2.3 billion may only be a miniscule part of the humungous debt that Britain has accumulated in the last couple of years but every little helps. Having said that the £ has gained some ground over the last 7 days against the Euro.